Hey did you hear? You no longer have a three pedal option in a front-wheel-drive crossover that you didn’t want to buy anyway. 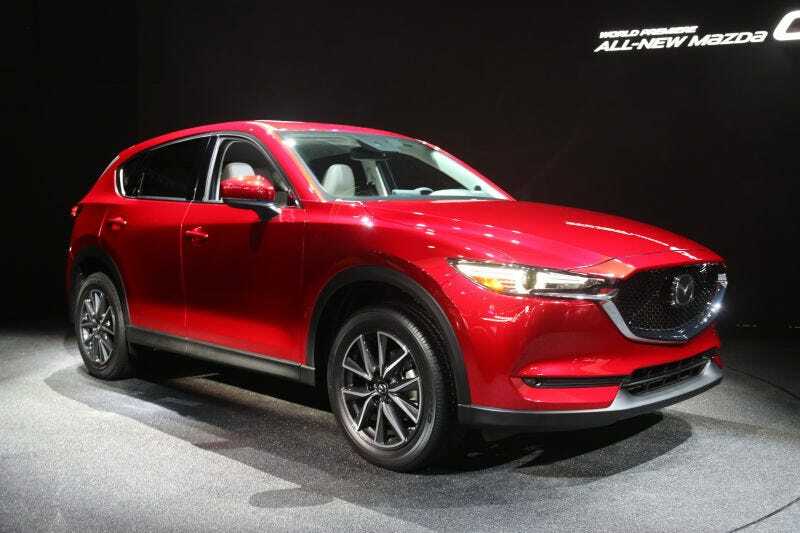 That’s right Mazda, purveyor of zoom-zoom will no longer let you row your own on the all new 2017 CX-5. Trust me, you aren’t missing anything. According to a Mazda spokesperson via CarsDirect, the manual option in the Mazda CX-5 will live on in Mexico and Canada, but not the meat in the North American sandwich that is America. The Mazda CX-5 is what we enthusiasts reluctantly recommend when someone must buy a crossover. It’s stylish, it’s well built and most of all it is actually fun to drive. Now some of these auto-journo types will tell you the reason why the CX-5 was so fun is because it was available with a manual gearbox. What they won’t tell you is that was the least desirable version of the car. You see the manual was only available in the front-wheel-drive version with the smaller and quite underpowered 2.0 liter motor with only 155 horsepower. No one wanted that car. You know this, and Mazda knows this. The only reason to get a crossover over a hatchback is the supposed advantage of all-wheel-drive. If you were the type that had to have a clutch pedal you were better off getting a Mazda3 hatchback, which is available with a manual across the range, and getting a set of snow tires. Now if you really want a compact crossover, the 2017 CX-5 looks to be a serious upgrade from an already excellent car. It has more style, more technology and more standard features. The all new car starts at $25,035 including destination which is only $540 more than the outgoing car when equipped with an automatic transmission. Speaking of which, the Mazda CX-5 is one of the few crossovers that is still available with a quick shifting six-speed automatic and not a soul-sucking CVT. So the 2017 version will be just as good and just as fun as the old car. Mazda’s fun philosophy will still be there even if a clutch pedal is not. And even though the entry-level Sport 2WD model has gone up a bit in price, it comes standard with 17’ alloys, LED headlights, Smart City Brake Support, a 7-inch color touchscreen, and a rear-camera in addition to the G-Vectoring system for extra zoom-zoominess in the corrners. All and all, a pretty nice kit for the base model. Mazda hasn’t given up on manuals, you can still get them on the cars you would actually want them on such as the Mazda3, Mazda6 and Miata. If you absolutely, must have a crossover with a manual Subaru will sell you a base model Forester with a six-speed stick and standard AWD.